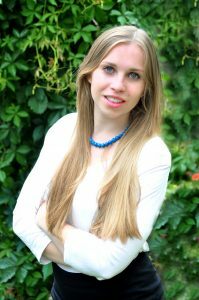 Jessica is a twenty-two year old Austrian-Canadian who grew up in the suburbs of beautiful Vienna and moved to Tübingen to study Politics and Public Law in 2013. In Tübingen she joined the United Nations Student Society where she found amazing friends who she shares many great memories with and who introduced her to the world of MUN. Together with her most important partner in crime she took on the Society in their second year at Tübingen. Chairing the Society opened up many great opportunities, the most memorable one being the organisation of the first Human Rights Week in Tübingen. 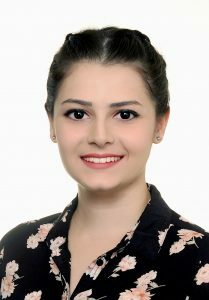 As she concentrated on security and human rights throughout her bachelor studies she jumped at the chance to do an internship in Vienna in autumn 2015 with the Parliamentary Assembly of the Organization of Security and Co-operation. Delving into the diplomatic world for the first time she was instantly convinced that this diverse environment was the place for her. Following this internship, she continued with one at the Human Rights office of the City of Vienna, learning about a more local approach to human rights. Jessie likes going for long runs, mainly though because she really loves dessert and chocolate. After a year in Vienna she is now looking forward to coming back to Tübingen and welcoming you all there! Juliane is 22 years old and is in her final year of studying Political Science and International Law at the University of Tübingen. Growing up in both the United States and Germany, it became clear to her early on how much she loves getting to experience different cultures and meeting people from all over the world. She has gotten a taste of the diplomatic life by interning at the German Permanent Mission to the UN in Geneva in the area of humanitarian affairs and migration. With a passion for international affairs and human rights, she’s been a member of the United Nations Society in Tübingen since the beginning of her studies, chairing it for one year, participating as a delegate in a number of MUNs and crisis simulations as well as organizing the first Human Rights Week in Tübingen last summer. She loves traveling, good food, political discussions, football and having a good time with her friends. She looks forward to meeting all of you in fall in Tübingen for a great conference! Cristine Farah is 18 years of age and currently a second year Law student at Université de Montréal. Although she is currently studying Law, the world of politics and diplomacy has always piqued her interest. Everything related to world issues, cooperation and agreements between countries, as well as tensions and conflicts has always fascinated her. This has led her to participate in the NMUN Conference in 2016. 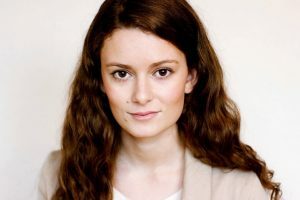 Having represented the United Kingdom in UNHCR council and won the Outstanding Delegate Award, it has further driven her to participate in more simulations to broaden her much adored experience. She therefore chose to chair at the TICS 2016 in the lovely town of Tübingen in order to share her experience with you, which she is certain will turn out to be nothing short of extraordinary! 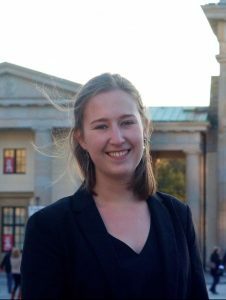 Stephanie Anne-Klara Schmitz is 21 years old and currently studies Political Science and English Studies as a double bachelor at Ludwig-Maximilians-Universität München, whereby she focuses on international security and literature. It was only in November 2015 that she attended her first Model United Nations Conference and she got hooked right away. 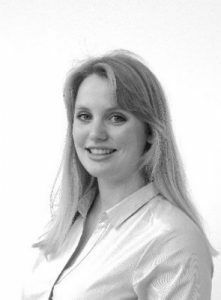 By now Stephanie has attended eleven MUNs and Crisis Simulations. She applied for TICS, because she really likes the concept and could not resist the chance to be a part of this Crisis Simulation. Hannah Bergmann is a 23-year-old student who loves to distract herself from studying by organising and taking part in MUN-conferences. MUNs have become a part of Hannah’s life two years ago, when she first participated in BerlInMUN 2014 as a delegate. Since then, she has taken part in several conferences as a delegate, as well as she has been part of the organising team of BerlInMUN 2015 and 2016. When Hannah is not busy with MUNing, she is studying history, politics and sociology at Humboldt-University in Berlin, travels around the world or mingles at music and film festivals. She feels honored to be a part of TICS 2016, which promises to be a great first edition of a project that sparked her interest from the first moment members of the Board told her about it. With TICS 2016 being her first Crisis Simulation as well as her first chairing experience, Hannah could not be more excited for October to come! 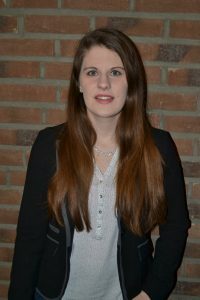 Antonia Munz studies Politics, Administration and International Relations in her 6th semester Bachelor’s at Zeppelin University. She has been to South Korea and is currently in Strasbourg, France, for semesters abroad. She is looking forward to meeting you all. 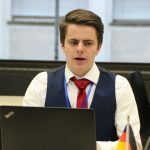 Max Krupp is 19 years old and a second-year student of International Relations and International Organization at the University of Groningen, the Netherlands. 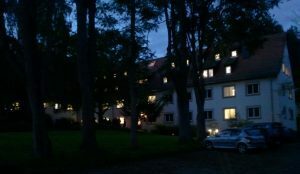 He is quite fond of the setting of this year’s TICS, as the whole conference is not only one intertwined crisis simulation but also completely focused on “only” one issue. He thus expects energetic and intimate debates and hopes that you are as enthusiastic as he is about this upcoming conference. About himself, he has so far participated at seven MUNs, three times chairing. He likes to enjoy a good whisky from time to time and a good book whenever he can. Prepare well, he is looking forward to meet you in October. Having done MUN for five years now Alex is absolutely stoked for this conference. Large JCCs have the potential to become some of the most intense debating experiences of all and he is absolutely excited to make this one the best yet. 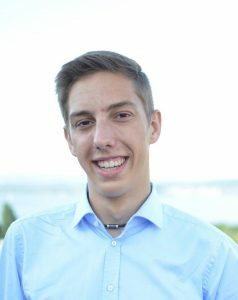 He is studying Politcal and Administrative Sciences in Konstanz where he is also the Head of the MUN society. 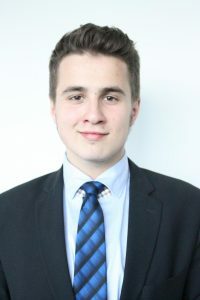 From being a first time delegate, to being the Secretary General for his own little conference he has done a little bit of everything throughout his five years of MUN. As of late he has been diving more and more into crisis simulations and with the Arctic as the core topic he is certain that we’ll come up with many creative ways to develop the crisis. Lisa is truly thrilled for TICS! She can´t wait to see what different positions will be, confront delegates with questions, dive into research and – of course – publish different articles and commentaries with an international team of journalists during TICS 2016… as Editor-in-Chief of the Ice-Floe News Agency, she hopes to further consolidate her journalistic knowledge (she works as Editor-in-Chief for tcampus magazine Kupferblau) as well as to gain new experiences. She is studying Political Science as a major at the University of Tübingen – thus, another big motivation for her in participating is to learn some more about what is going on in the Arctic realm. And all of this in English – perfectly fits her minor. Also, she likes pineapples (eatable as well as artificial ones), dancing and candid conversations. Constantin, 28 from Stuttgart, Germany currently lives in Tübingen. 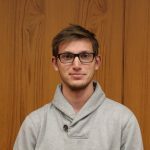 He studies English and History at the University and works as a Journalist for the local public radio station SWR. 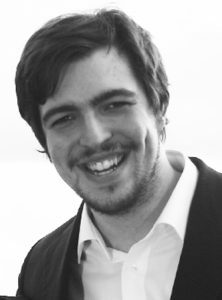 Also he is the founder of the Blog Neckarstudent, that does local news for students in Tübingen. He went to Southampton, England during his Erasmus year. His main interests are media and politics.